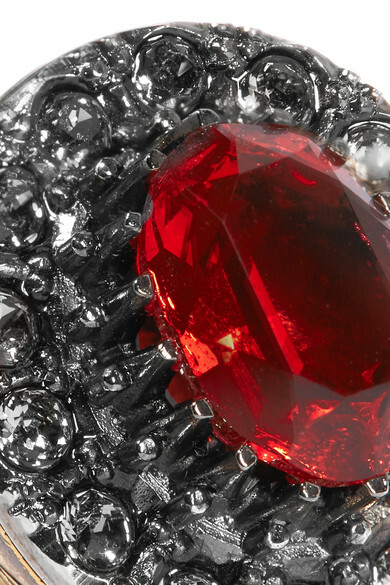 If you want to add some attitude to your favorite LBD, Alexander McQueen's darkly glamorous jewelry is the perfect way to do it. 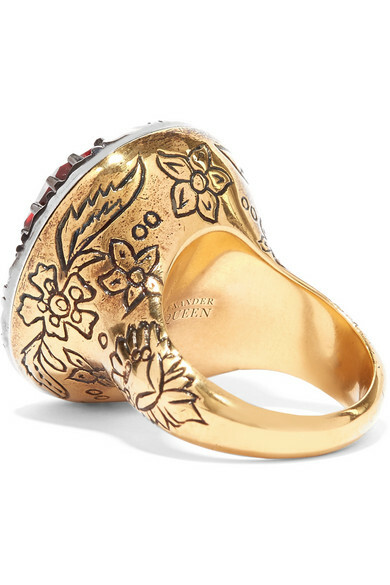 This gold-tone ring has the look of a family heirloom and is inscribed with floral symbols around the band. 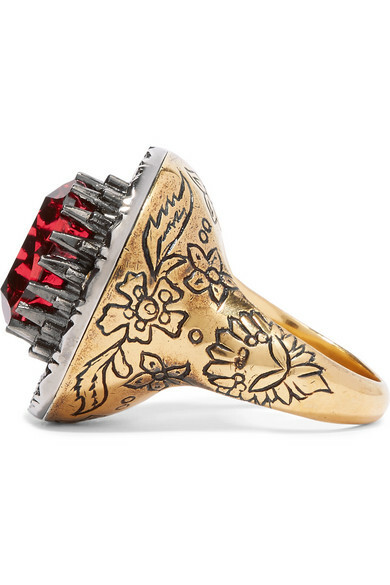 It’s been made in Italy and encrusted with blackened crystals to frame the glistening red jewel in the center. Shown here with: Alexander McQueen Dress, Alexander McQueen Necklace.